It’s been a hectic few weeks, with a house move taking central stage in the events of my life, closely followed by some fascinating work. I am really enjoying being closer to the sea and it makes my commuting life just that little bit easier. I must confess that I am not unpacked yet as my work schedule has been hectic and so I am still living in amongst boxes. 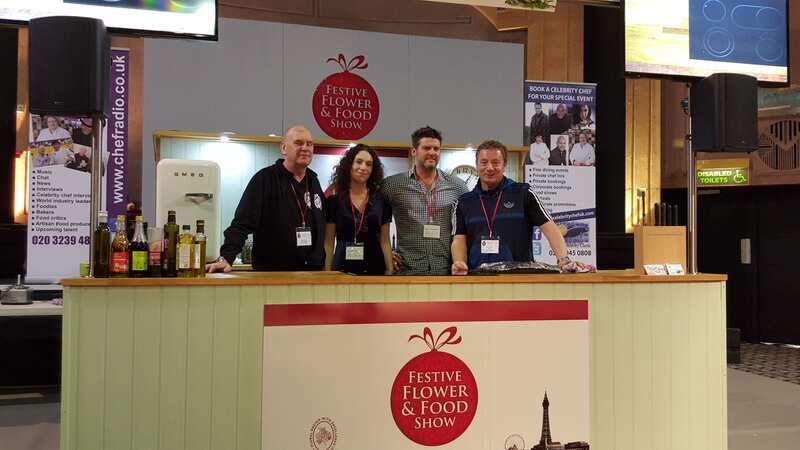 I have just arrived back from Blackpool where I demonstrated some traditional Lancashire dishes at Blackpool Winter Gardens at the Festive Flower and Food Show. 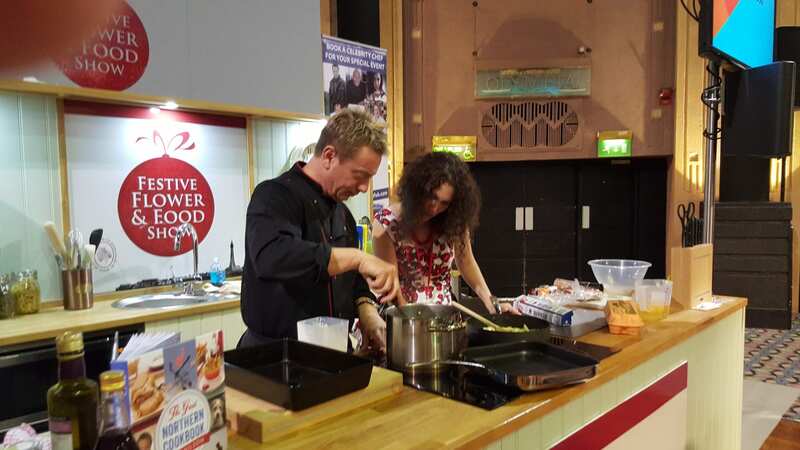 There was a lovely atmosphere at the show and our team of chefs including Mike Keen, Sean Wilson (aka Martin Platt from Coronation Street) and Mike Harrison all had wonderful audiences. The weekend flew by and as I cooked my last butter pie of the festival I reflected on what a warm welcome I had received. Prior to the Blackpool Festive Flower and Food Festival I had been chatting to a few radio stations about everything from the history of smoked foods through to what it was like to create Downton Abbey style banquets in an Edwardian kitchen without the luxury of our modern labour saving devices. In no time at all I was out of the radio booth and into the kitchen as I recreated a full Edwardian festive feast that included everything from jellied mussels, coffee blancmanges, cherry puddings and roasted hogs heads and braised ox hearts. I concluded that the full feast could be cooked in just twelve hours when I was using my stand mixer, fridge, freezer, fan-assisted oven, food processor, dishwasher, electric whisk and ice cream maker; but it took a staggering 45 hours to create the same feast using no labour saving devices. Yes, 45 hours seems a long time, but try making ice-cream without the aid of a modern freezer! Now I am working on the history of baking and a very interesting BBC project which I will tell you more about later in the year. 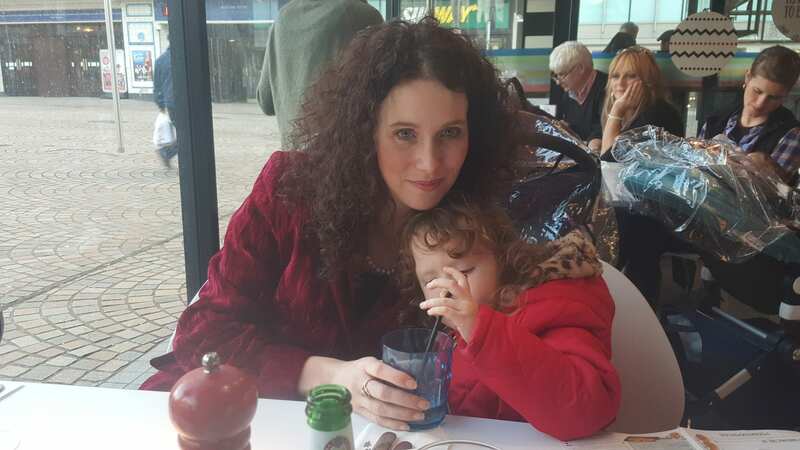 Work has been hectic, but I have squeezed in some magical moments with my girls including meeting Santa and looking around Blackpool. Well work calls, so until next week I bid you a fond farewell from a wet and windy corner of West Wales. « SHELLY BEACH SNIPPETS No. 53 16th November, 2015.